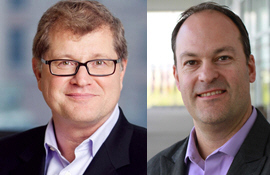 In the US, Comscore Vice Chairman Bill Livek has joined the Board of first-party data solutions provider ALC; and the firm has appointed Andy Johnson as Chief Data Officer (CDO), with responsibility for its data strategy, acquisition and operations. Johnson joins with a 22-year career in the field of data-driven marketing. Most recently, he served as SVP of Data and Audience Solutions for Acxiom/LiveRamp. Before this, he spent more than sixteen years at Experian, latterly as VP of Data and Client Services. He began his data career developing online partnerships at Infogroup. In his new position, Johnson will develop ALC's strategy to build on its first-party data expertise, while adding new data and processes. His role also includes overall management of data operations and delivery. Commenting on the appointments CEO Rick Erwin, who recently joined the firm from Acxiom Marketing Solutions, said: 'In addition to being among the most knowledgeable experts in the collection and use of person-level data, Andy is also an exceptional leader who exemplifies the trustworthiness and data stewardship that is so critical in the new data economy. And as we evolve ALC to a larger multi-dimensional organization, Bill's experience as a creative leader who can effectively manage a business today while planning and executing for long-term sustainable growth, is extremely important to ALC'.